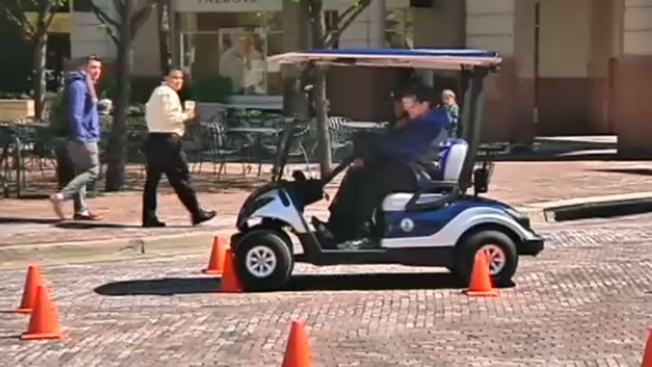 Police and other groups from several jurisdictions gathered at Reston Town Center Friday morning to share ideas and strategies to improve driving, cycling and walking throughout Northern Virginia. The goal is to share safety ideas that are working and address areas that need improvement and listen to the concerns of residents. More than 20 businesses and agencies participated. WTOP's Max Smith volunteered to try out the impaired driving simulator.